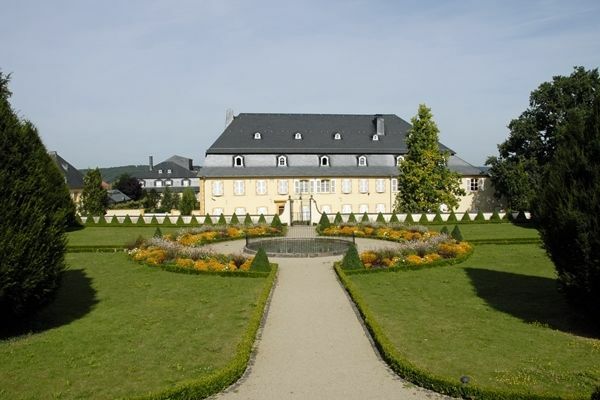 In the same way that it is inconceivable to imagine a Baroque castle without a garden, it is inconceivable to imagine the Baroque Garden in Perl without the stately house of the von Nell family, the Quirinius Chapel and the parish church of Perl. Each blends with the other to create a unique sumptuous ensemble. Reconstructed according to old plans, the Baroque Garden combines the geometric severity of the principal and secondary axes with the seasonal play of colours of its hedgerow and flower ornamentation.